Happy Valentine’s Day, Beautiful Goddess! The first Worldwide Womb Blessing of the year is coming up next week, and it’s all about womb renewal. 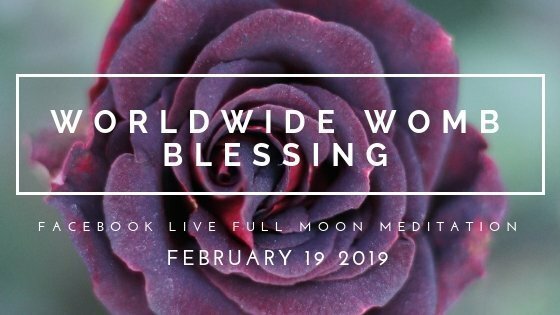 As a Valentine’s Day gift to yourself, I invite you to register today for the Worldwide Womb Blessing and join me for your own womb renewal. On this day of love, I’m giving a lot of thought to the renewal of our wombs. Because it’s in our wombs that our sexual energies, our passion and pleasure, lie. But I’ve also been thinking recently about traumatic shame: the shame that arises when trauma is hidden, either because you don’t know about it or because it’s too painful to share the truth of what’s going on in your life. And as women, it’s common for shame to manifest around our sexuality, our wombs, the very essence of our feminine selves. So womb renewal is a beautiful and crucial gift to yourself, whether you need to heal from traumatic shame or you simply want to awaken more fully to pleasure and self-confidence. The Worldwide Womb Blessing and Earth-Yoni Blessing is a powerful transmission of Sacred Feminine energy. It’s channelled by Miranda Gray to hundreds of thousands of women around the world, all of us focused together on awakening feminine energy and healing our Earth. It’s happening Tuesday, February 19. Our live circle meets at 12:45 pm EST / 9:45am PST / 5:45pm UK–note this is a different time than our usual! Try to make it live if you can—but don’t worry if you can’t, a replay will be available and the energies will be waiting for you.